Usually, people have one Outlook Account. But sometimes due to overburden of emails and convenience the user handles two Outlook Account. So it becomes difficult for the user to synchronize the two Outlook accounts to the Exchange server and save the emails offline. 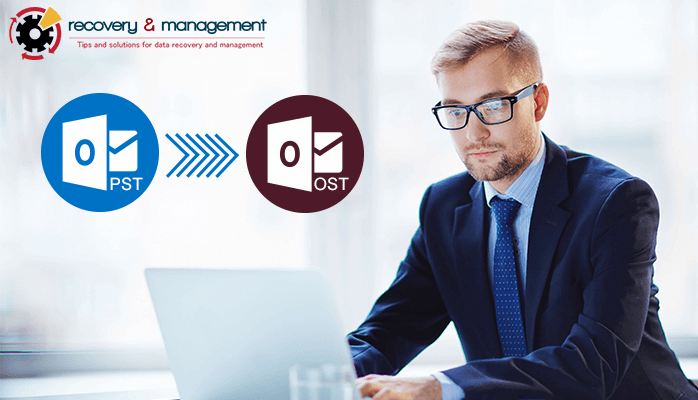 Therefore in this article, I will tell you to import PST file to OST in the various versions of MS Outlook that are Outlook 2003 and all the later versions. I’ll start with the latest version of MS Outlook where you can transfer PST file to OST. Let’s see how we can do that. 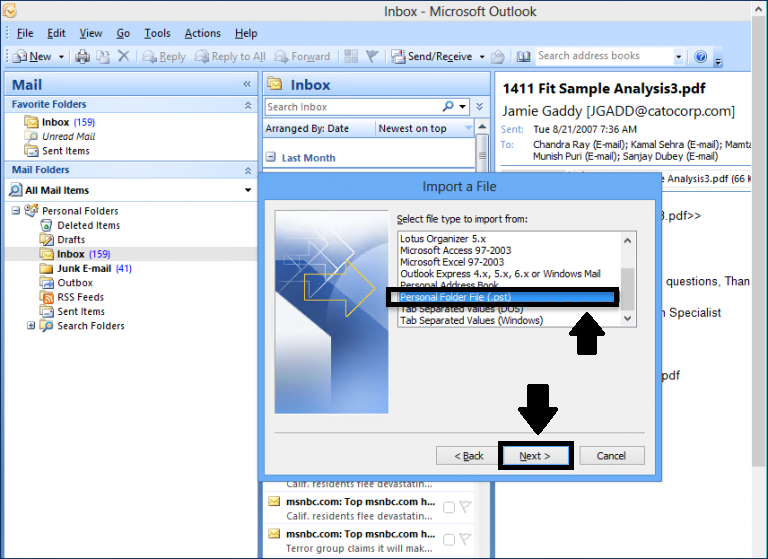 Open MS Outlook 2013 or 2016 on your PC. 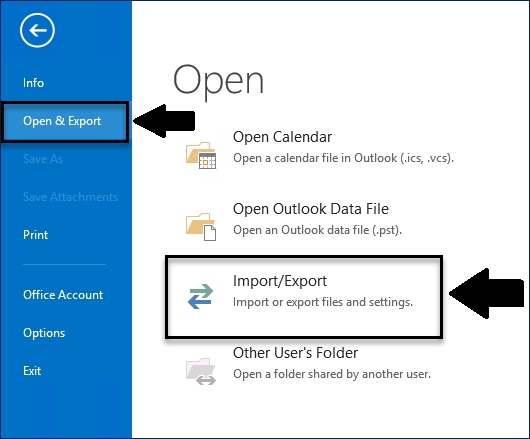 Under File Tab Click on Open & Import and then Select Import/Export option. Select Import from another program or file and Click on Next. 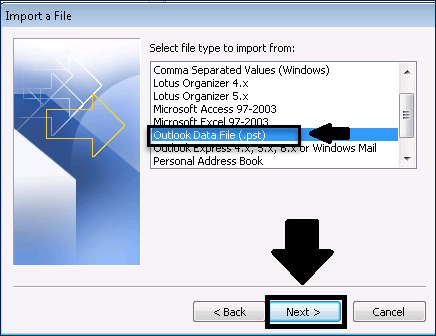 Now, Select Outlook Data File (.pst) and then Click on Next. Browse the PST Location and then hit Next button. Note*- Sometimes a PST file is secured with a password. So enter the credentials and then browse it. Choose the folder from where you have to import the PST files and finally Click on Finish. Now, you can see the Imported Files on the left side of the Pane. On the Left side Create a New Folder. 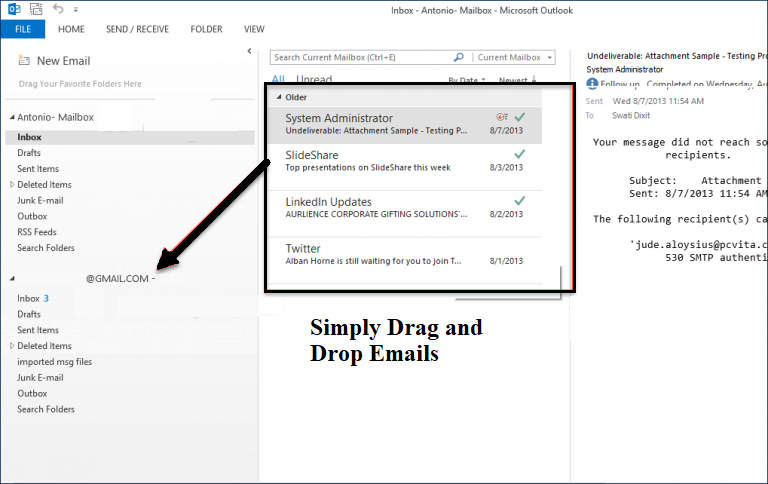 Drag and Drop Emails to Convert PST file to OST. This is the techniques for MS Outlook 2013 and 2016 because these two versions almost have the same user interface. 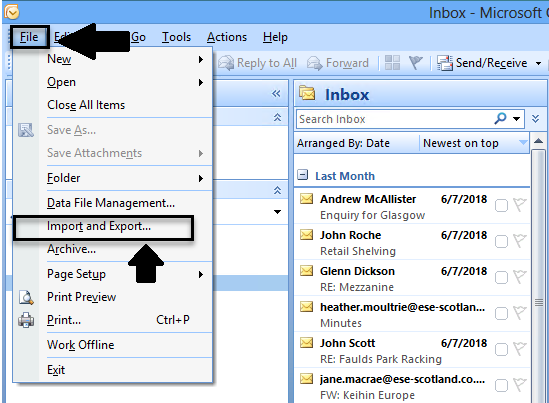 Now I will move on MS Outlook 2010 as it has a different user interface. 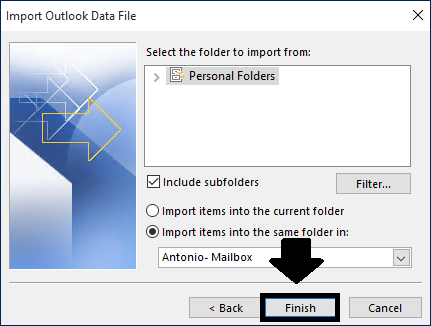 Launch MS Outlook 2010 on your personal computer. Go to File tab and Click on Open and then on Import. 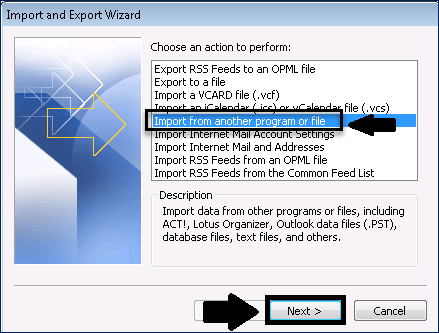 In the Import and Export Wizard select Import from another program or file option and click on Next. 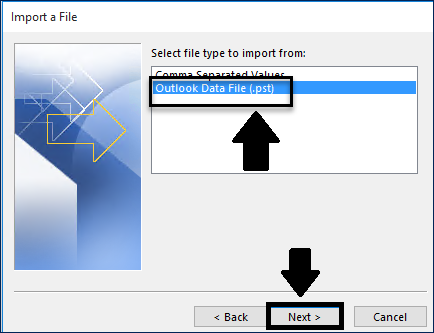 In File Type Select Outlook Data File (.pst) and hit Next button. Browse the PST Location and Select Remove duplicates from the items imported and then Click on Next. Choose the folder that has to be imported and finally Click on Finish Button. 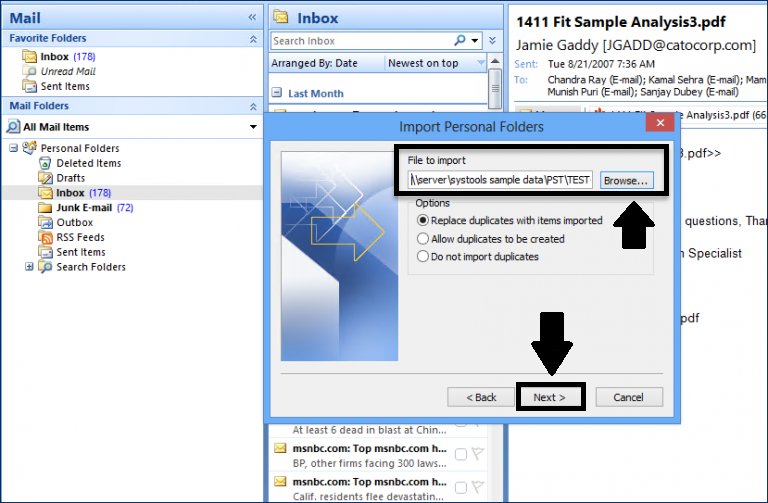 Create a New Folder on the left pane and import the PST files into it. 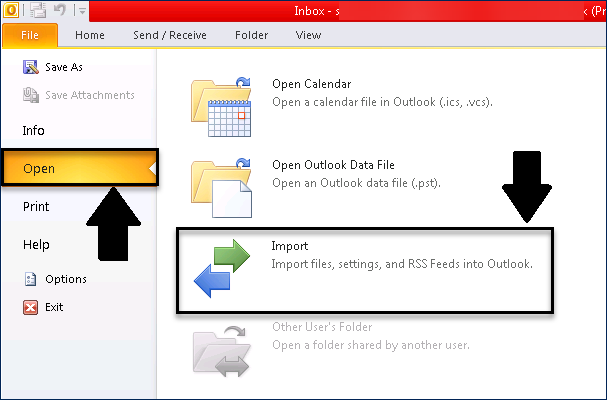 This is all about converting PST file to OST in MS Outlook 2010. 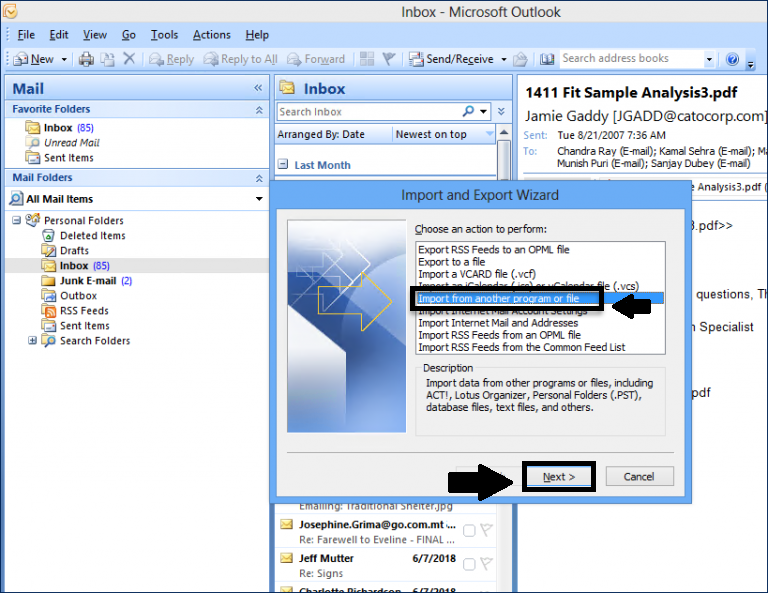 The steps and the user interface varies according to the different versions of MS Outlook. 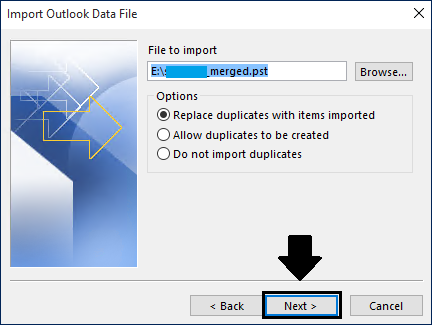 As MS Outlook 2003 and 2007 have almost same user interface so it will be easy for you to import PST file to OST on both the versions. 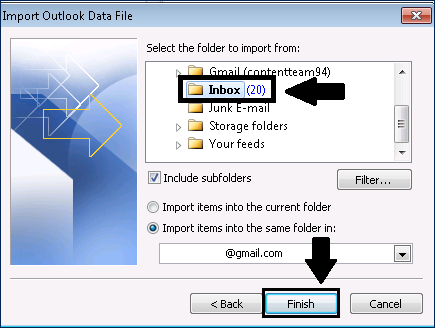 Open MS Outlook 2003 or 2007 application. Click on the File tab and then Select Import and Export option. 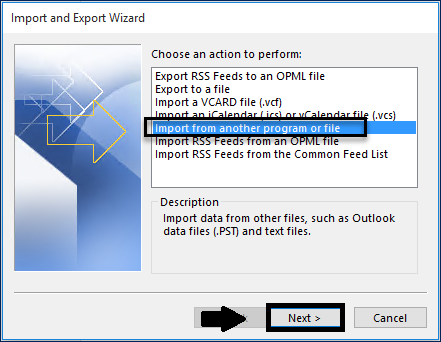 Select Import from another program or file option and click on Next. 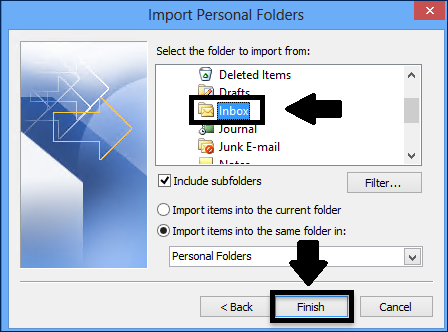 In Import a File Window Select Personal Folder File (.pst) and then click on Next. 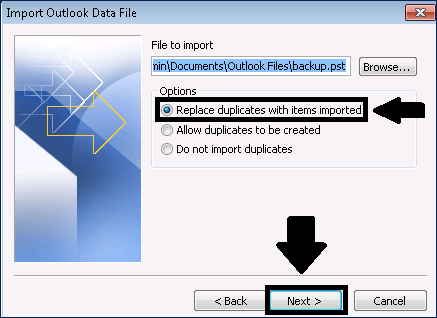 Select the PST File from the saved location and allow Remove Duplicates option then Click on Next to continue. All the PST files will appear on the left Window pane. Create a new Folder and Drag and Drop PST files to convert them to OST. Well, I have told you how to perform PST to OST conversion in all the versions of MS Outlook. Usually, people look for OST to PST Conversion but there are some unique cases in which it becomes necessary to import PST file to OST. So you don’t have to spend a single penny to do that. You can just follow the manual ways to convert PST File to offline OST. Well if you want to reverse the process that is OST to PST conversion then you can download the professional software.